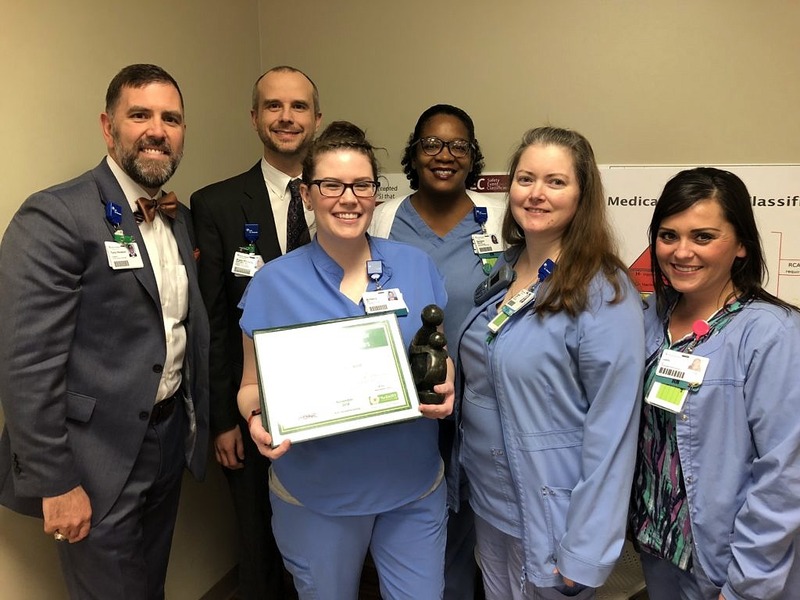 Brittany Cole, RN on 3W in Hot Springs received the DAISY Award for November. Her attention to detail, proper assessment, genuine concern and diligence really made the difference. While assessing a post-operative patient, she noticed some signs that were cause for alarm. After performing her due diligence, she notified the charge nurse and House Supervisor. Their assessment returned the same results, prompting additional medication and a follow-up surgery that likely saved the patient’s leg.